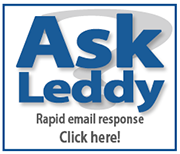 Leddy Library is transforming the current course reserves system with Course Resource Lists powered by Leganto. 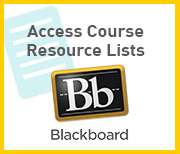 Course Resource Lists integrates with your Blackboard Course site and enables you to create and manage online resource lists that connect to the libraries online and physical resources as well as resources you find anywhere on the web. It provides students with quick and easy access to course resources from your Blackboard site. Library staff are still here to help you get your resource lists ready each semester. How do I submit my list? As a faculty member or instructor you can submit course resource lists to the library from your Blackboard course site*. From Blackboard you will be able to build and customize your own resource list and send it to us to process OR if this is the first time using the system, you can send us a word document with your citations to process. *Note: If your course doesn't use Blackboard, you can still submit your resource lists to us by email (coursereserves@uwindsor.ca) or drop off items at the information desk. We'll help to create your resource list and provide you a link where students can access the list in our system. Why use Course Resource Lists? 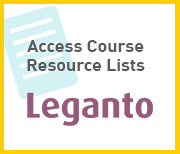 Course Resource Lists powered by Leganto makes it easy for instructors to create and manage online resource lists that connect directly to their Blackboard course site. This provides students with quick and easy access to course materials in one place. It's easy to find, organize and add resources from the library & the internet to your resource list. Engage students with a wide range of educational resources including books, textbooks, journal articles, websites, podcasts and more! Allows you to annotate items and create custom sections to organize your content. Saves time by providing a one-stop-shop for creating, managing, accessing, and evaluating course resources. The "My Collection" tool helps you create a personal resource library to use in the future. Library staff are here to help you prepare you list as well managing copyright & digitization of materials. Analytics tools allows you to track how resources are being used. Need help? The guides below will walk you through how to submit your course resource list.